I would like to start this article by asking all students looking to pursue that MBA dream to take note of the famous quote by Steve Jobs "Your Time Is Limited , So Don’t Waste It Living Someone Else’s Life. Don’t Be Trapped By Dogma-Which Is Living With The Result Of Other People’s Thinking. Don’t Let The Noise Of Other’s Opinions Drown Out Your Inner Voice. And Most Importantly Have The Courage To Follow Your Heart And Intuition" . What Does It Mean? I will explain this to you. When you look around and see all those graduation classmates of yours doing well in life do you get a feeling that you are wasting precious time doing that MBA? You have paid such high fees running into Lakhs of Rupees. How would you get back that amount?.What about that foreign tour compulsorily inducted in our syllabus whose expenses you took a loan to pay for .Damn…I still have to pay the original MBA Tuition fee loan back. Don’t know when I will repay the foreign tour loan amount. It’s scary and frustrating as I have opted for a career switch .I was an Engineer before this but now I am struggling to learn finance and my fellow classmates are minting money with solid growth prospects in their careers. Have I Made A Mistake Doing That MBA Course?. I have been working very hard but I find a skill mis match between the actual skills set required for the industry I work in and what is actually taught in my curriculum .Once you are on the job your practical approach matters and the theoretical knowledge does not make much of a difference. The MBA course helps me to speak eloquently, but does it really help me change the world the prime purpose for which I joined this course .They say the exposure that you get by doing that MBA Course opens a thousand doors. But Does This Tell You Which Door To Open?. At this time you regret why you followed the crowd and you are left to figure out what to do next". 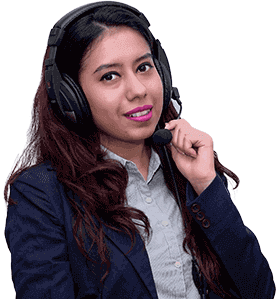 I would like to remind all of you that the team of Financial Planners at IndianMoney.com are always there for you to plan your financial needs in a most effective and efficient manner. You can explore this unique Free Advisory Service just by giving a missed call on 022 6181 6111. I would like to bring to your notice the saying of a highly successful entrepreneur working as an assistant manager in a highly reputed company. He states that by doing MBA ,students take on crippling debt as many students borrow or take up loans in order to pay for that expensive MBA course.MBA colleges are notorious for teaching outdated principles and practices and in some cases even wrong practices if they teach anything at all. This course might not even guarantee a job , leave alone make you a highly skilled leader. Business schools do not create successful leaders. They simply accept readymade leaders and take credit for their performances These MBA courses with crippling debt, questionable returns and outdated teaching are a trap for the unwary and a worthless piece of paper. The answer to this one is an emphatic no. 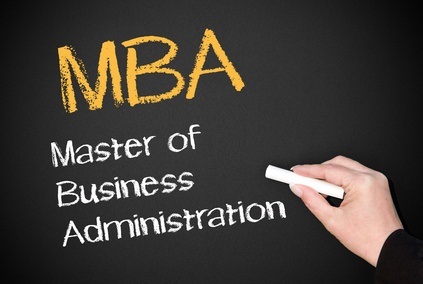 There is a general impression that an MBA puts you on a higher pedestal in knowledge. This is entirely untrue. Exhaustive research was conducted on job positions and salaries. Barring cases in certain exceptional MBA colleges not much difference exists in the pay packages of MBA’s and people in other major white collar professions. A self taught person can hold his own against the vast number of students who pass out of so called reputed MBA Colleges. Many students in India believe that doing an MBA Course helps you in starting your own business or company. Contrary to public opinion these courses do not teach practical skills and are highly expensive. The huge levels of debt are a major reason why we need to rethink on an MBA as a good investment. You can get a faster better education if you do it yourself. Out of lakhs of people who do an MBA in finance with an intention to get a job in Investment Banking a fraction of students actually get the coveted job. The vast majority just acquire a worthless post graduation degree certificate. India churns out Lakhs of MBA’s from about 3000 odd Business Schools, but only a fraction of these are employable. Many MBA pass out’s do not have basic fluency in English. Many of these MBA pass outs do not have basic communication skills necessary for the management cadre. Tests conducted in subjects such as quantitative analysis and basic grammar brought up a success rate of hardly 10%..Many MBA Finance students did not know the basic concepts of finance. No importance is given to soft skills in the training curriculum .Multi tasking and multi ability takes a back seat in the MBA training course. A person who is good in his analytical abilities but not good in his English and communication is likely to be shown the door for that all important job interview. In the first year in many colleges the MBA curriculum remains the same. Not much time is available to concentrate on the main specialization. You must have met a number of students from highly reputed MBA colleges. The most common thing you hear from them are the high EMI’s they got to pay once they finish that MBA. So the top concern on the tip of their tongue is What Is My Return On Investment? .The average fees of a good college is 10 Lakhs and I am talking about the most highly reputed colleges in India. The average salary is about 5-8 Lakhs based on their placements. This would take a while to pay back. You must have seen students of not so highly reputed colleges paying fees in the range of 15 Lakhs. Many of them do not get a job when they pass out .Pray What Return On Investment Would They Have? Why do people break rules? When you see no traffic cop around don’t you break that traffic signal? Similarly among the lakhs of MBA who pledge to follow the MBA oath, without any supporting leadership education and ethical studies are liable to ethical breaches. This results in a number of breaches of conduct as we have seen recently in India. The sheer number of scams notably in the telecom sector ,financial sector ,mining and so on can be put down to the lack of ethics on the part of these Management cadre passing out of a number of B-Schools whose only priority is to make money. This problem can be tackled through experimental learning and following what is known as the practical approach. These students’ ethics can be tested by showing them real on field situations and seeing how they react to these situations. If they are to learn what to expect, then they should be brought face to face with these situations so that they know what to expect. Let us consider what inflation does to our purchasing power. In India we have what is called the WPI or the Wholesale Price Index. The WPI focuses on the price of goods traded between Corporations rather than goods bought by consumers. Food Inflation plays in a major role in WPI. The purpose of WPI is to monitor price movements that reflect supply and demand in industry, manufacturing and construction .Consumer price Index (CPI) measures changes in price level of goods and services that is purchased by households. Its main components include food, clothing, fuel, education, medical, transport, household items, personal care and recreation. The value of WPI in April 2013 was around 4.89% and CPI was around 9.39% in April. Truly mind boggling figures. Do you think the value of money remains same with the passage of time?. No definitely not. Let us consider that we have INR 100 with us in our hands today. What could we purchase with it? Today we have the price of a loaf of bread as INR 15 depending on the size of the loaf and we can purchase about 7 loaves of bread with INR 100.The Price of bread in 2010 was about INR 10.We could have got 10 loaves of bread of similar size for INR 100. Why does this happen? .This is because of the time value of money..The time value of money concept states that any amount of money is worth more today than in the future. This affects our purchasing power. Now how does all this matter to me for my MBA Course. Let us consider the course fees as INR 5 Lakhs in 2010-2011. CPI was 8.87%.In the future one year a sum of INR 5.44 Lakhs would be equal to a current value of INR 5 Lakhs. Similarly CPI was 9.30% in 2011-2012.Now the purchasing power of INR 5 Lakhs in 2010 would be equal to 5.94 Lakhs in 2012.So a bird in hand is worth two in the bush. What was 5 Lakhs in 2010 has become 6 Lakhs in 2012.Let us consider the opportunity cost of capital which is the cost of the next best alternative investment..We know the BSE Sensex has moved up from 15000 points in 2012 to almost 21000 points in 2013.If you had invested this sum of INR 5 Lakhs even considering average returns of 20% our 5 Lakhs would be worth about 6 Lakhs in one year. This is the gain we would obtain if we use the stock market investment option. So opportunity cost for MBA would be 6 Lakhs .It would be wise if we follow the famous saying "Short As Life Is , We Make It Still Shorter By The Careless Wastage Of Time". Let us consider the Chartered Accountancy Course popularly known as CA as an alternative to MBA. Indian firms perceive that CA’s have more core competence in financial matters compared to an MBA in Finance. MBA’s are mainly used for Sales and Marketing and CA’s are preferred for decision making roles. Apart from the competence in financial matters, changing taxation laws and risk aversion in the economy plays into the hands of a CA. For higher positions like Senior Managers CA’s are generally preferred. We also save on the fee structure which is about 1.5 Lakhs for CA where as for an MBA it can range anywhere between 5-15 Lakhs. I would like to end this article with the famous saying "A Big Part Of Financial Freedom Is Having Your Heart And Mind Free From Worry About The What If’s Of Life".